Perhaps more so than any other aspect of the cinema, the drive-in reflected the American values of its time. Its beginnings, rise in popularity, and eventual decline paralleled the times and preferences of a nation, and perhaps its innocence as well. The first true drive-in theatre was built in 1933 in Camden, New Jersey by Richard M. Hollingshead, Jr. 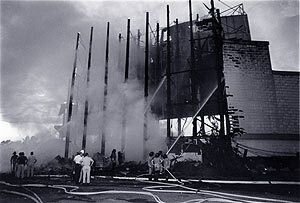 The second was in Texas, a cheaply built structure in Galveston that lasted less than a month. 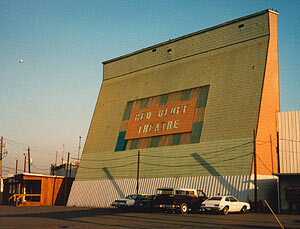 Houstons first outdoor theatre, originally known as the Drive-in Theatre, opened on June 7, 1940. The generic name gave way to the Texas Drive-in, and later, its better-known name of the South Main Drive-In. Many other followed: The Epsom Downs, Winkler, Shepherd, Market Street, Trail, Airline, Hempstead Road, Irvington, Post Oak (two separate ones), King Center Twin, Hi-Nabor, Red Bluff, Tidwell, Gulfway, Thunderbird, Telephone Road Twin, and McLendon Triple. Then there was the massive Loews Sharpstown Drive-in, with an oversized concession stand and childrens play area, including a miniature train ride. The last drive-in to be built was also the last to go. 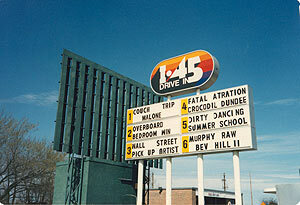 Gordon McLendons I-45 Drive-in opened on July 2, 1982. It closed ten years later, on February 29, 1992. With the I-45, the era of the Drive-in came to a close in Houston. In 2005, the owners of the Crossroads Drive-In in Shiner constructed a new drive-in theatre, the Starlite, on Highway 59 near Kingwood. 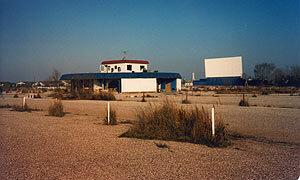 The following year, the Showboat Drive-in opened in Tomball. For those who are willing to make the drive, it is still possible to see a movie under the stars, just like the old days. 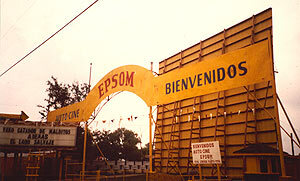 The Epsom Drive-in, during its days as a Spanish language theatre. The Telephone Road Drive-in, after it had closed down. 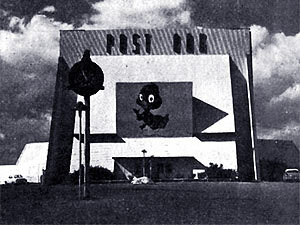 The original Post Oak Drive-in theatre. 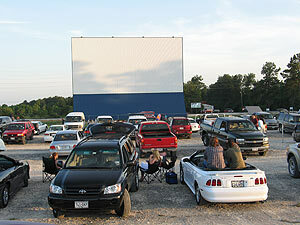 The Showboat Drive-in in 2006. 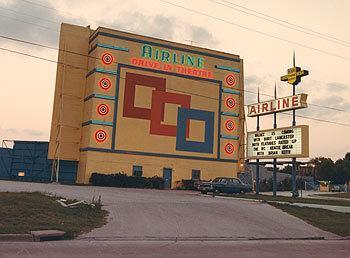 The I-45 Drive-in in 1987. 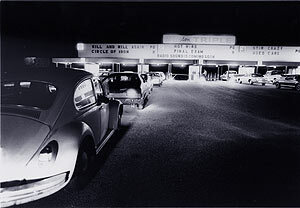 The McLendon III Drive-in in 1981. July 1964. Firefighters work to extinguish the screen tower fire at the Hempstead Drive-in, apparently due to lightning as a thunderstorm crossed the area.